Priority given to those who sign up with their family! 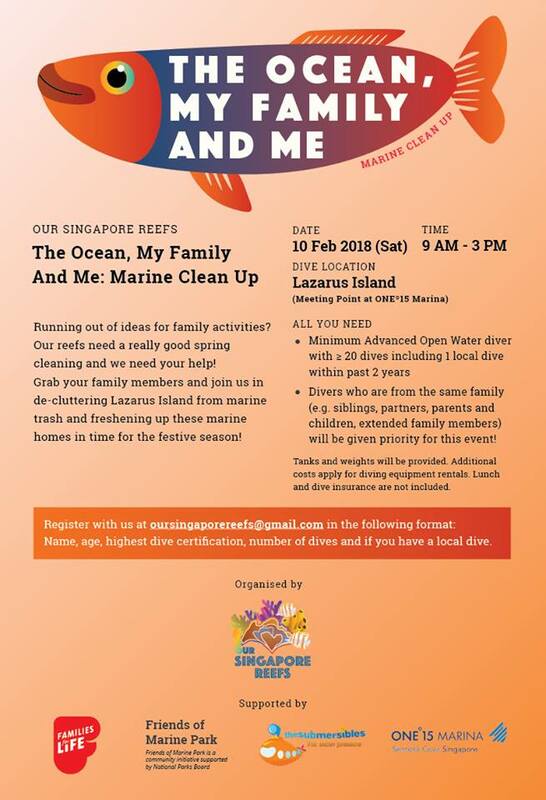 Grab your family members (who dive) and join this upcoming trip to Lazarus Island, "The Ocean, My Family and Me" by Our Singapore Reefs. In the spirit of spring-cleaning before the Lunar New Year, help our marine life spruce up their living spaces by removing debris underwater. Spaces are limited! 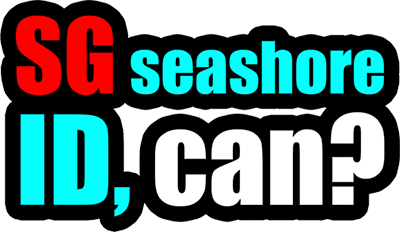 Register with your: Name, Highest Dive Certification, Number of dives, and Have you dived in Singapore? 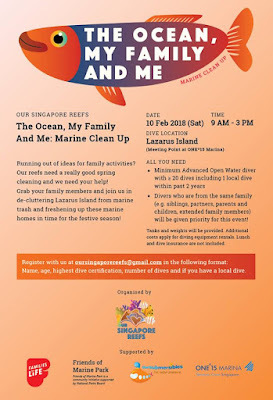 Sign up via oursingaporereefs@gmail.com. More details on the Our Singapore Reefs facebook event post. Here's what happened during the dive cleanup! Thanks to Our Singapore Reefs.